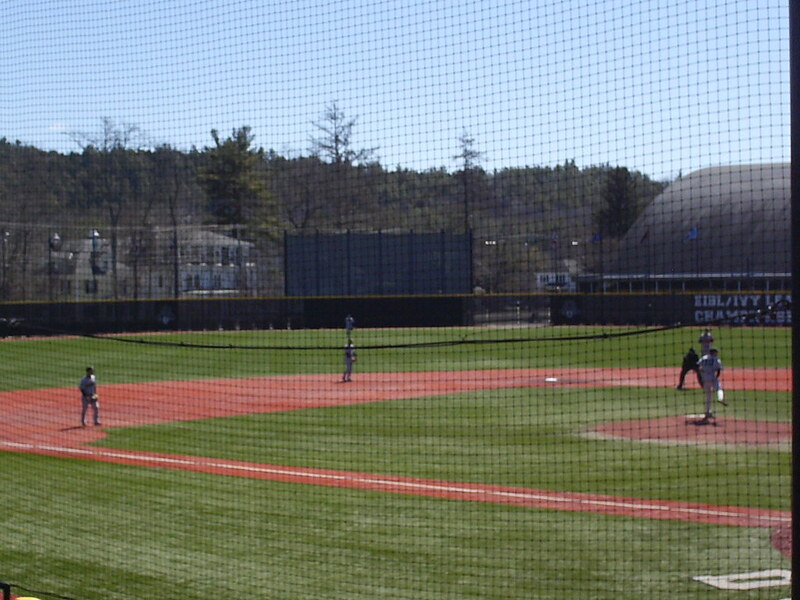 The view from behind home plate at Red Rolfe Field. 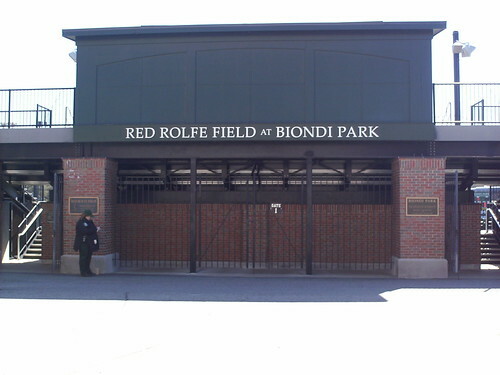 The grandstand at Biondi Park, as seen from the right field corner. 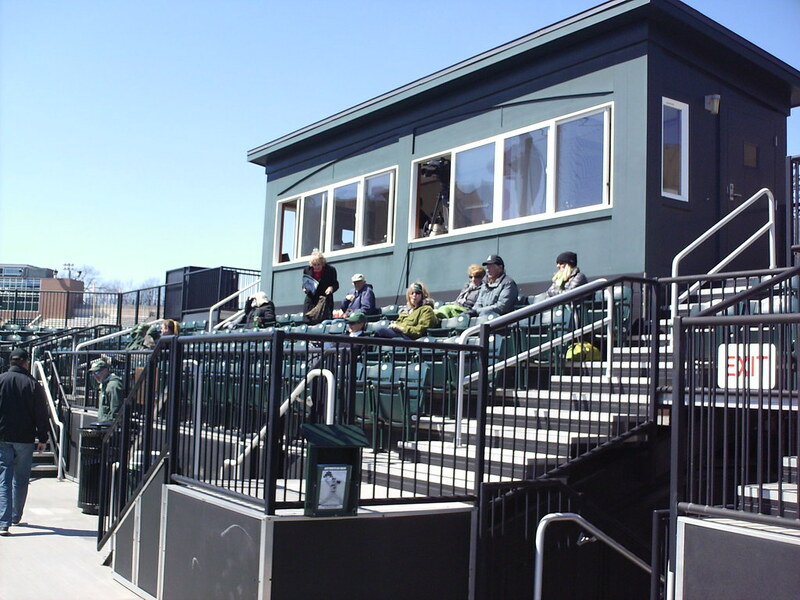 The pressbox at the top of the grandstand. 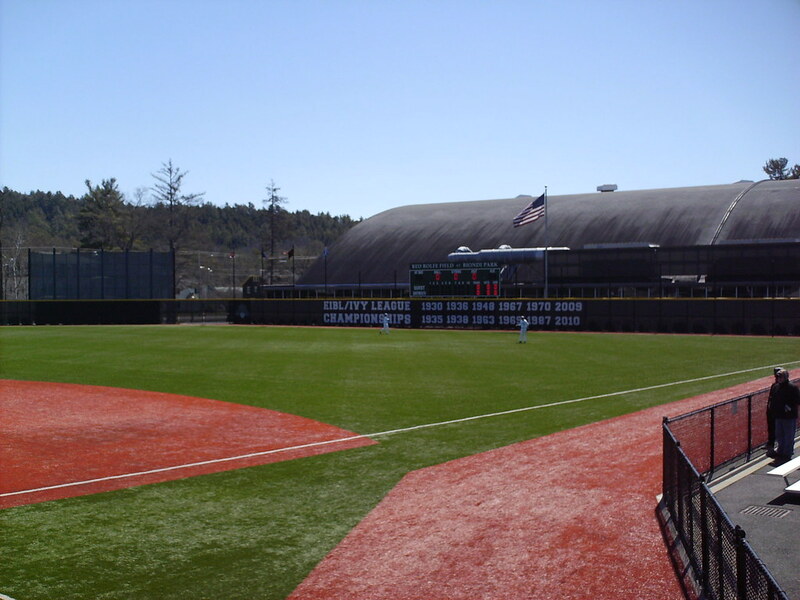 Seating behind home plate is fold-down green plastic seats. 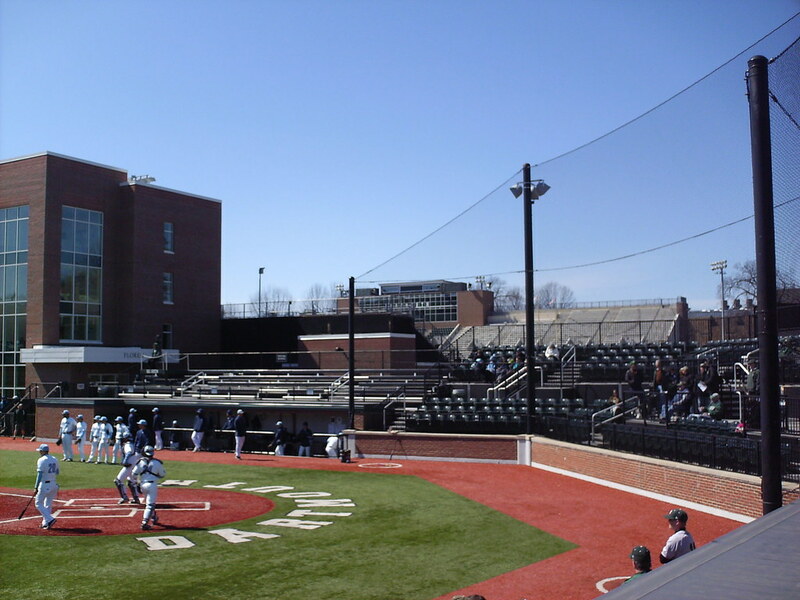 The Dartmouth student seating section is aluminum bleacher seating down the third base line. 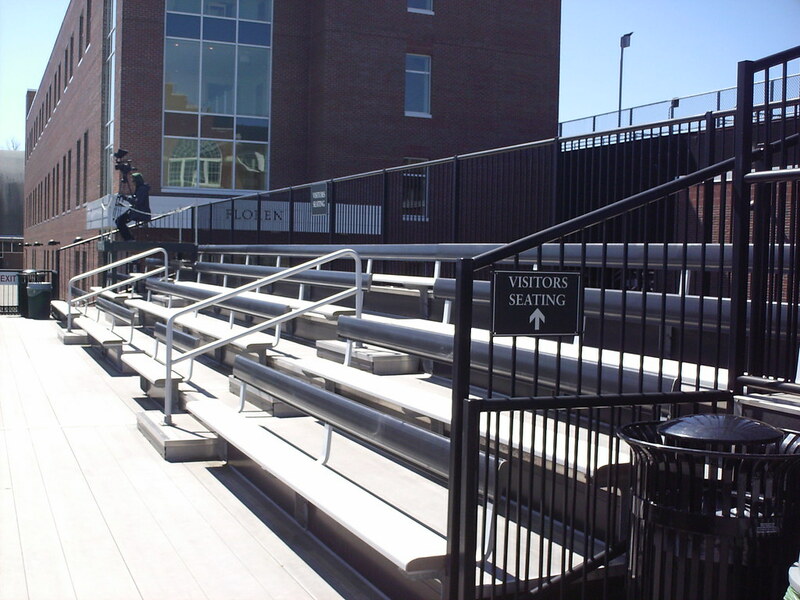 Bleachers on the first base side are reserved for the visiting team's fans. 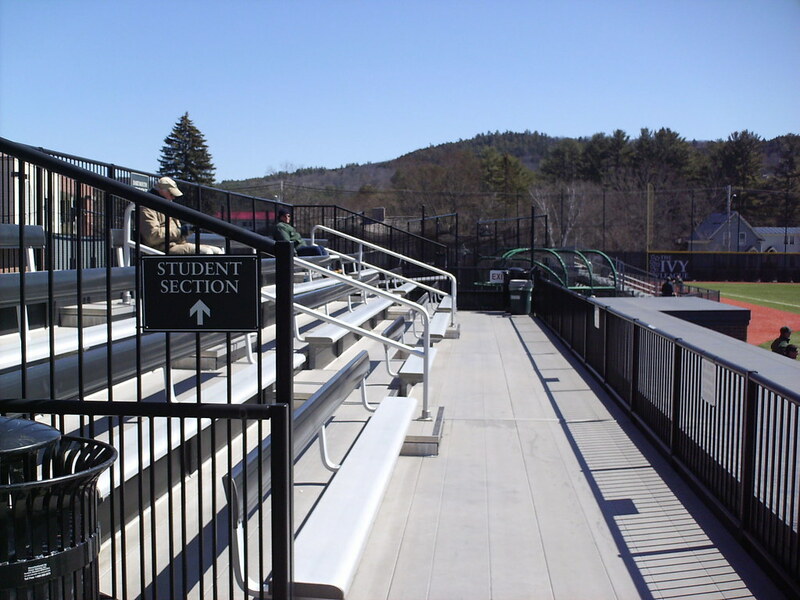 Additional bleacher seating sits down the lines in the outfield at Red Rolfe Field. 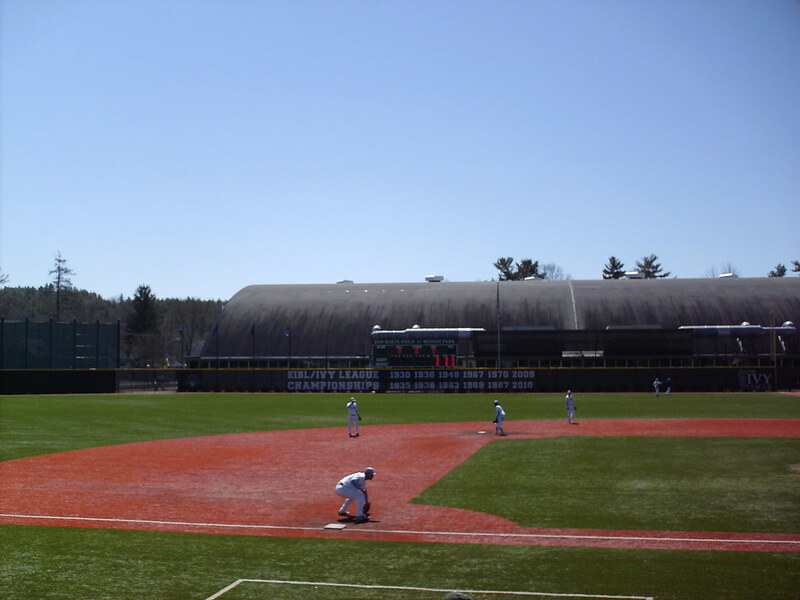 Memorial Field, Dartmouth's football stadium, is visible behind the first base stands. 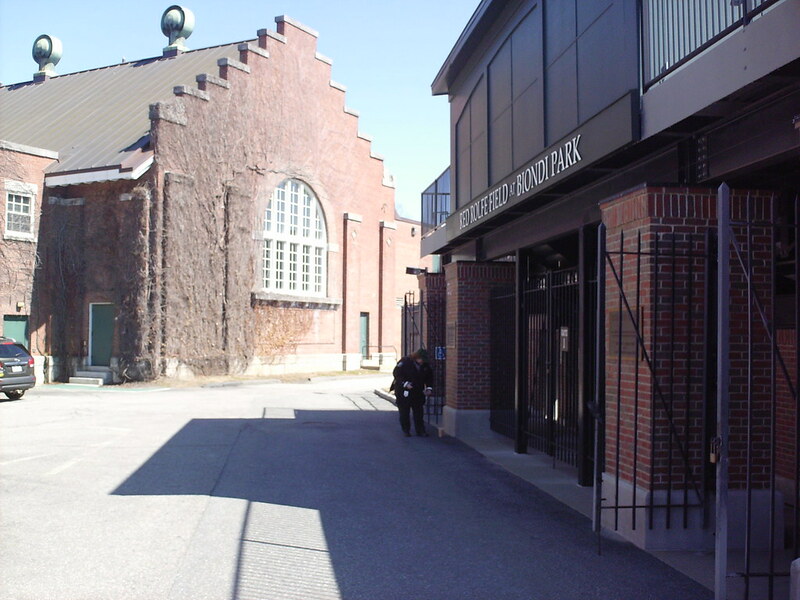 Red Rolfe Field is tucked into the historic Dartmouth campus and ivy covered brick buildings frame the outer concourse. 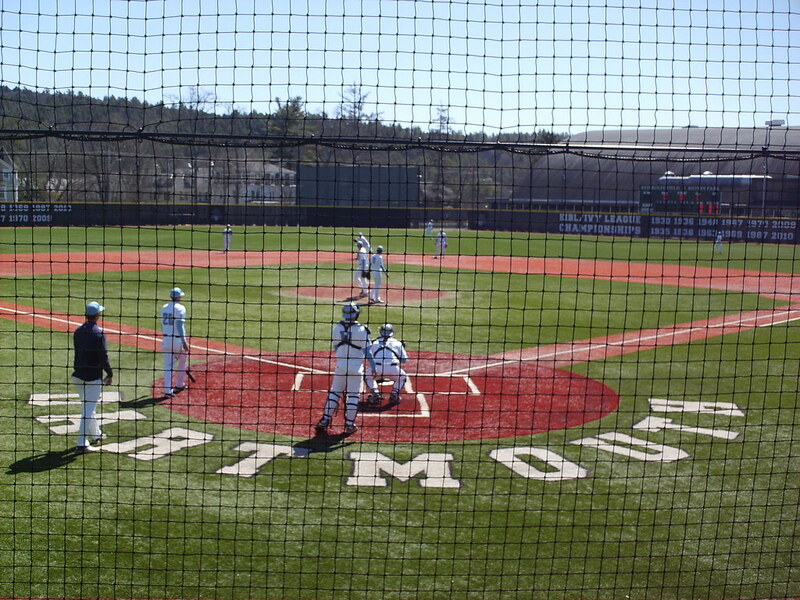 The Dartmouth bullpen and batting cages sit just out of play on the third base side of the park. 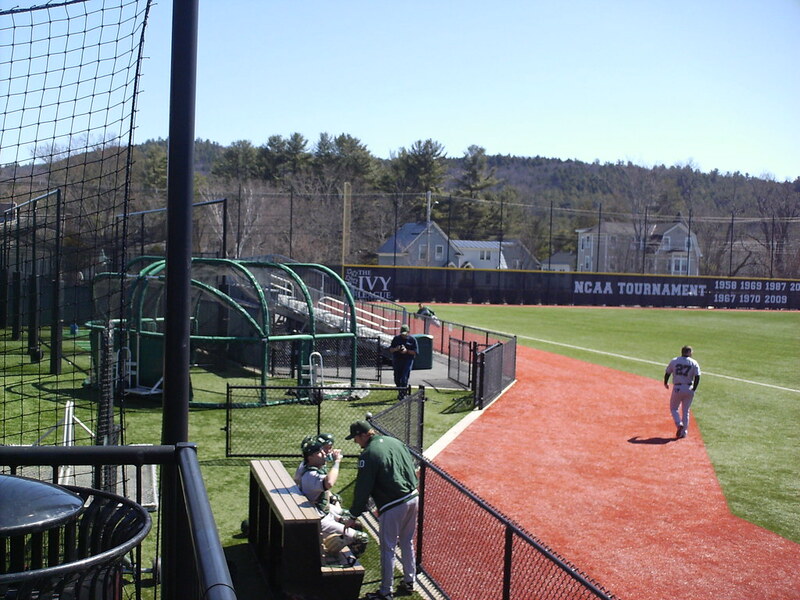 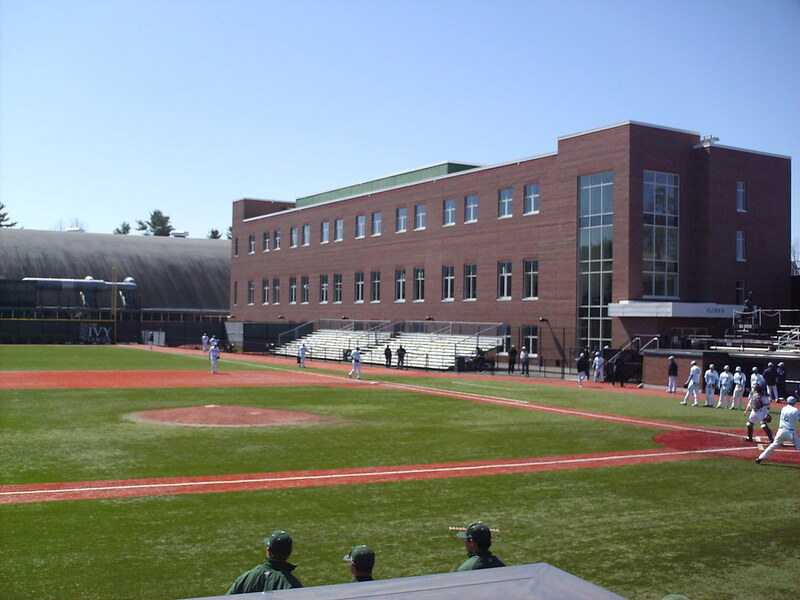 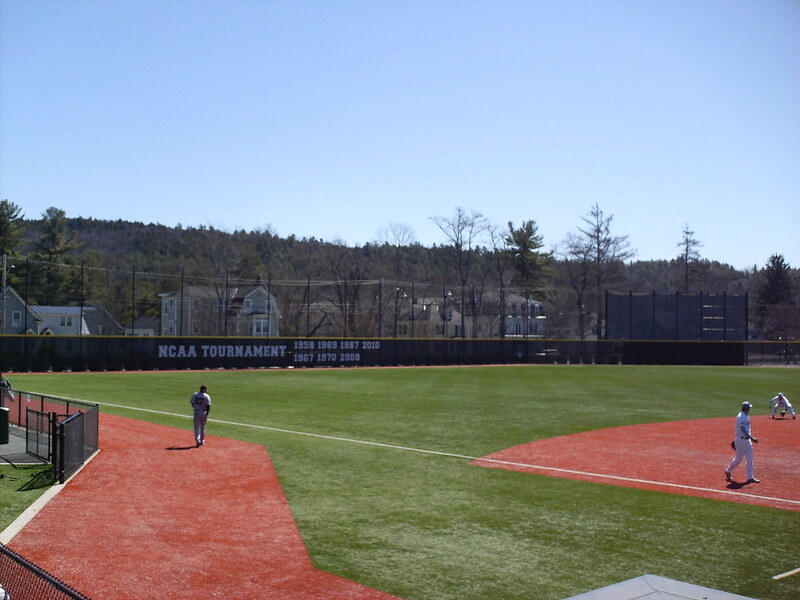 The outfield fence lists Dartmouth's NCAA tournament appearances and a net above the wall protects the houses behind it. 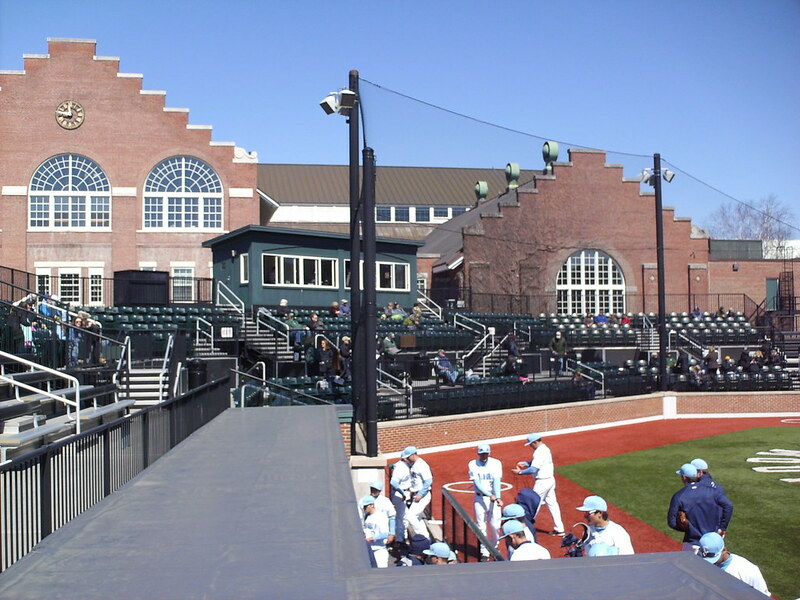 Ivy League championships and the scoreboard sit in front of the field house in right field. 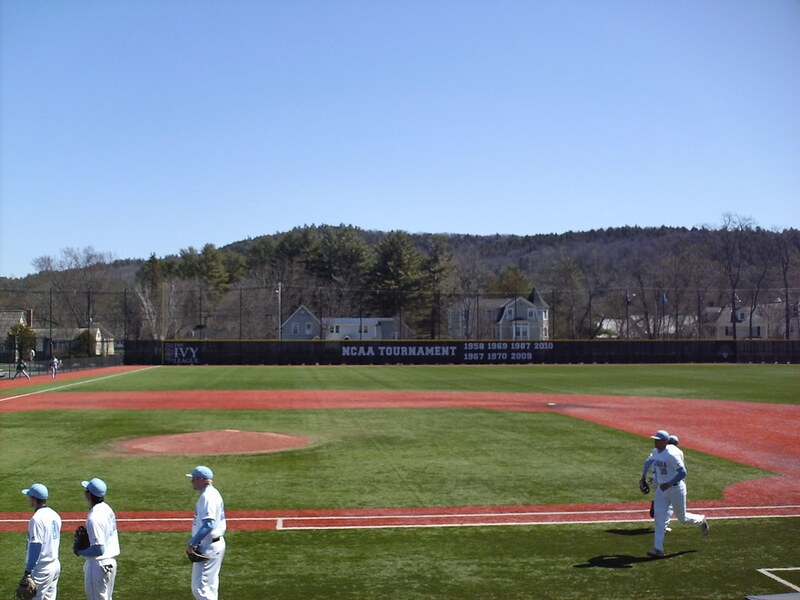 The Dartmouth College Big Green on the field during a game at Red Rolfe Field at Biondi Park.